CAC coins continue to tend to realize higher prices at auction than their non-CAC counterparts. On June 11, the Goldbergs auctioned a PCGS graded MS-64 1892-O quarter, with a CAC sticker, for $780. 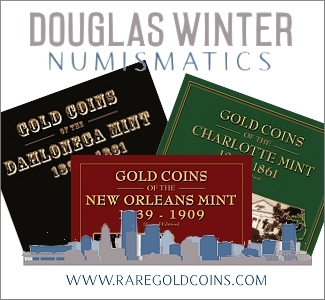 Earlier in 2018, Heritage has publicly sold four PCGS graded MS-64 1892-O quarters, without CAC approval. The two sold on May 9 realized $480 and $408, respectively. These same two coins each sold for $424.80 in February. In December 2017, Bonham’s auctioned a MS-64 1892-O quarter in an early PCGS holder for $585. Five PCGS graded AU-58 ‘No Motto’ 1907 $10 gold coins were auctioned in June. The only one that was CAC approved was sold on June 11 in a Goldbergs sale for $1080. Six days later, Heritage sold two AU-58 1907 No Motto tens without CAC stickers, in consecutive lots, for $810 and $780, respectively. On June 26, Stack’s-Bowers sold two PCGS graded AU-58 ‘No Motto’ 1907 $10 gold coins in consecutive lots, each for the same price, $720. 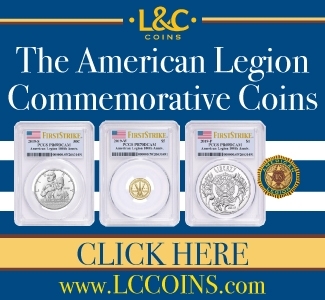 In Mint State, a CAC-approved MS-64 coin of this date and variety brought at least one-third more than any of the others sold in June. 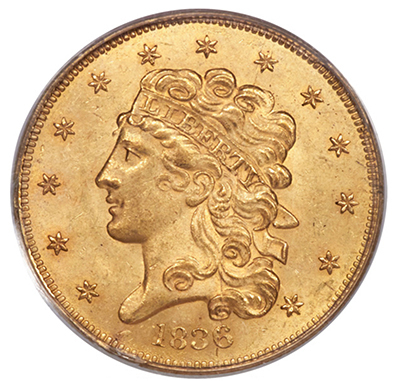 At the June Long Beach Expo, a CAC-approved MS-64 1836 Classic Head $5 gold coin realized $25,201.20 at a Heritage Auction. In April, a PCGS graded “MS-64+” coin, also of the “Second Head, Large Date” variety, though without a CAC sticker, realized $23,400. In August 2016, Heritage sold another PCGS graded MS-64+ “Second Head, Large Date” 1836 $5 gold coin, without a CAC sticker, for $21,150. Also in August 2016, at the same convention in Anaheim, a different auction firm sold a PCGS graded MS-64 “Second Head, Large Date” 1836 $5 gold coin, without a CAC sticker, for $16,450. 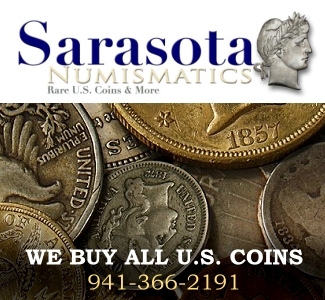 The CAC-approved MS-64 coin brought significantly more than each of the non-CAC, “MS-64” or even “64+” 1836 half eagles of the same variety. 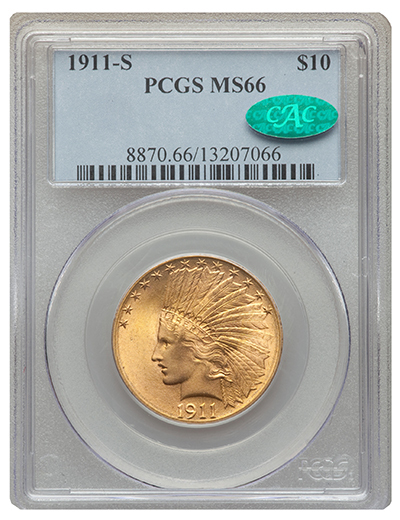 On June 14, Heritage auctioned a CAC-approved MS-66-graded 1911-S $10 gold coin for $66,000. This is more than double the $32,900 Heritage realized in August 2016 for a PCGS-graded MS66 without a CAC sticker. Two years ago, In August 2016, the same auction firm sold a PCGS graded MS-66 1911-S, without a CAC sticker, for $32,900, less than half as much! Heritage auctioned off a CAC-approved MS-65 1923-S cent with a ‘Red’ color designation for $66,000 on June 14. On March 22, a PCGS-graded MS-65 Red 1923-S, without a CAC sticker, brought $28,800 in a Stack’s Bowers auction as part of a famous collection of Lincoln Cents. 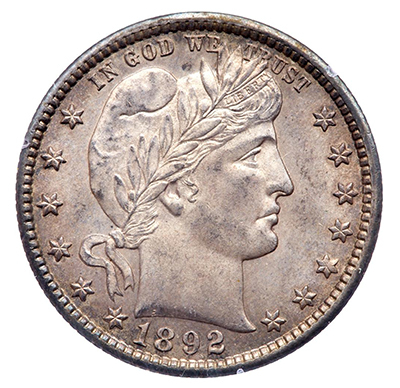 A CAC-approved MS-65 1875-CC twenty-cent piece brought $19,200 on June 14. 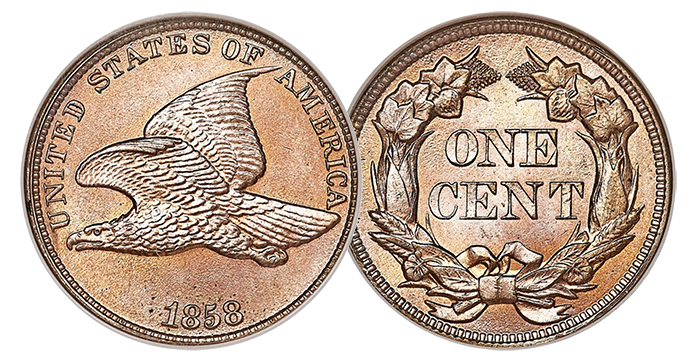 In January 2018, a different CAC-approved MS-65 1875-CC twenty-cent piece was auctioned for $17,037.50. The exact coin that sold for $17,037.50 in January, in the same PCGS holder (but without a CAC sticker), realized $8,812.50 in June 2017. A price in line with what another PCGS graded MS-65 1875-CC, also without a CAC sticker, brought in March 2016 at a Heritage auction. On June 14, a NGC-graded MS-66 1858 ‘Large Letters’ Flying Eagle cent, with a CAC sticker, realized $9,001.20. In January 2018, the same auction firm sold a PCGS-graded MS-66 1858 ‘Large Letters’ Flying Eagle cent, without a CAC sticker, for $6,600. In March 2017, Stack’s-Bowers auctioned a NGC graded MS-66 1858 ‘Large Letters’ Flying Eagle cent, without a CAC sticker, for $6,462.50. In February 2017, Heritage sold a PCGS graded MS-66 1858 ‘Large Letters’ Flying Eagle cent, without a CAC sticker, for $7,050. Clearly, the CAC-approved NGC-graded coin brought substantially more than three different non-CAC coins did over the past 18 months. 8. On June 14, a CAC approved MS-63, 1883 Hawaii silver dollar brought $7,800. Seconds earlier, a PCGS graded MS-63 1883 Hawaii silver dollar, without a CAC sticker, realized $4,860! 9. 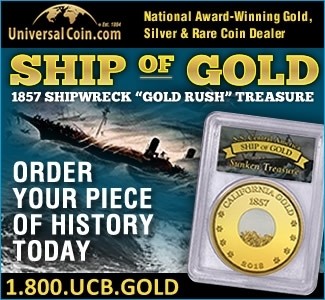 On June 21, Stack’s-Bowers auctioned a CAC approved AU-55 1872-CC $20 gold coin for $33,600. In March 2017, Stack’s-Bowers auctioned a PCGS AU-55 1872-CC $20 gold coin, without a CAC sticker, for $18,800. In February 2016, Heritage auctioned a different PCGS AU-55 1872-CC $20 gold coin, without a CAC sticker, for the same price, $18,800. 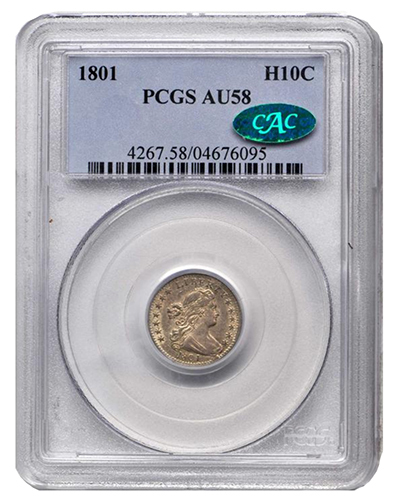 On June 21, Stack’s-Bowers auctioned a CAC-approved AU-58 1801 half dime for $18,600. In August 2017, Heritage auctioned a non-CAC, PCGS-graded AU-58 half dime that was struck from the same pair of dies for $13,512.50. How do you get a CAC certification?.